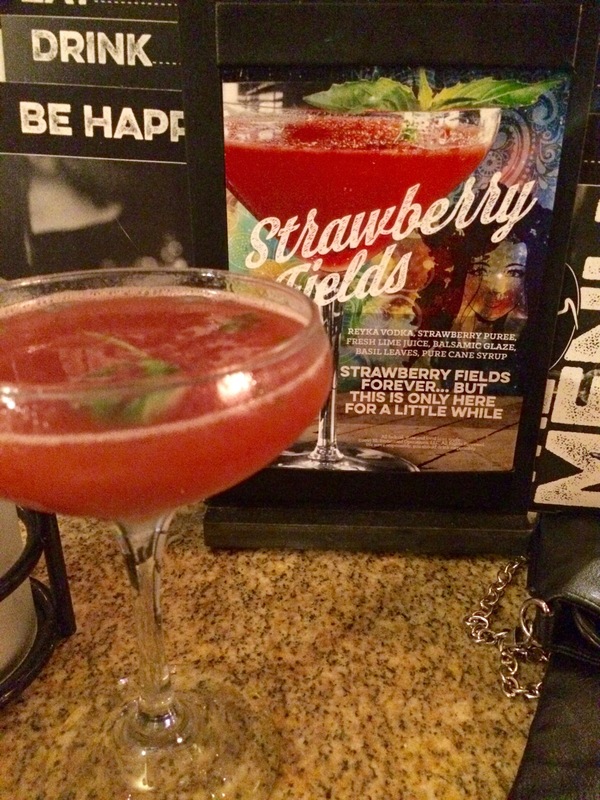 Bar Louie & Strawberry Fields. The other week me and Evan made it a dinner date. It was a gorgeous sunny day in Florida and you could tell by the crowd. It was jam packed inside and out on that Friday night. 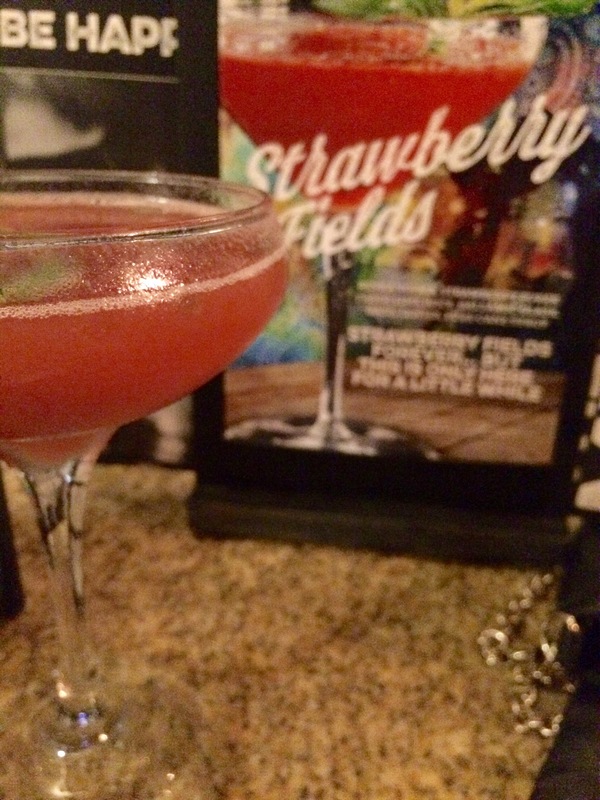 Upon entering, there was a huge sign for a Strawberry Fields Martini. Immediately, I knew what I was ordering after my glass of wine. 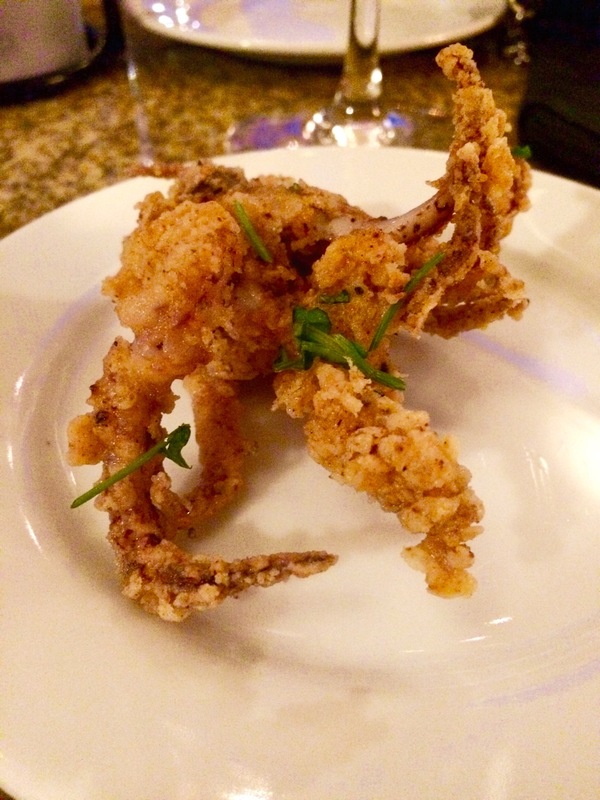 We sat down outside in the lovely warm weather where we started with an appetizer of Crispy Calamari. These crunchy, fried squids were scrumptious. And by that I mean, they weren’t only the body rings, but also the legs. Needless to say, they were very cute and perfectly cooked so they were not tough at all. 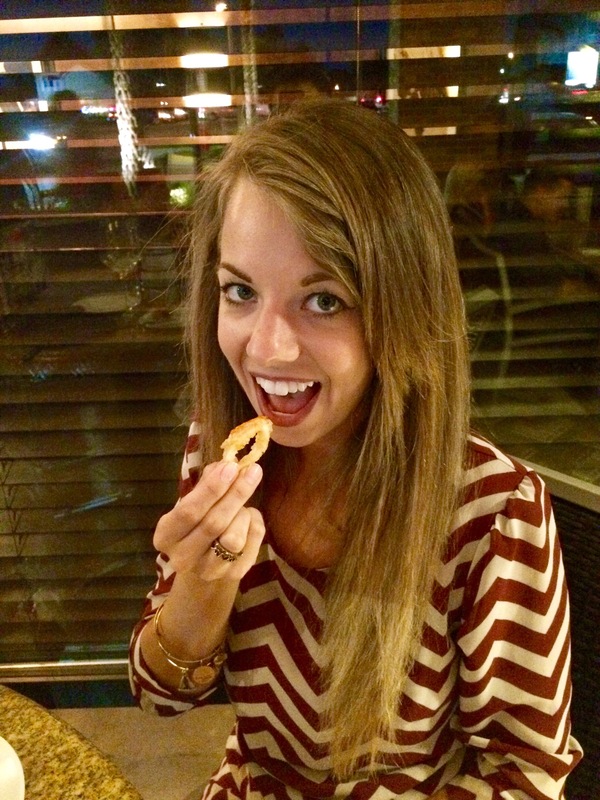 With a squeeze of lemon and a dip in their fresh, daily made cocktail sauce…I ate them all up. After a starter drink of wine and an appetizer, we ordered our meal. Oh and I ordered the Strawberry Fields Martini. I doubt they have it for very long, so if I were you I would rush over there now and order one. They have happy hour from 4-7pm M-F so you have no excuse. Plus, it has strawberry puree mixed, so you get your daily serving of fruits in. I’m pretty sure that’s how it works, so I will count it as a fruit. Strawberry Fields Forever. Reyka Vodka, Strawberry puree, fresh lime juice, balsamic glaze, basil leaves, pure cane sugar. All fresh and made on the spot. Y U M.
Sip Sip Sip, It was gone too quick! Okay, back to the dinner. After all this is my dinner review, right? I ordered the Backyard BBQ burger. While this picture might not do is justice since it was dark out, check out the picture on their website. It seriously looks like the picture…unlike most advertisements. The burger was juicy, cooked just the way I like it and topped with melted cheddar cheese, barbecue sauce, thick cut bacon, & fried onion strings. Yeah, try saying that with a mouth full of burger…and a side of fries. 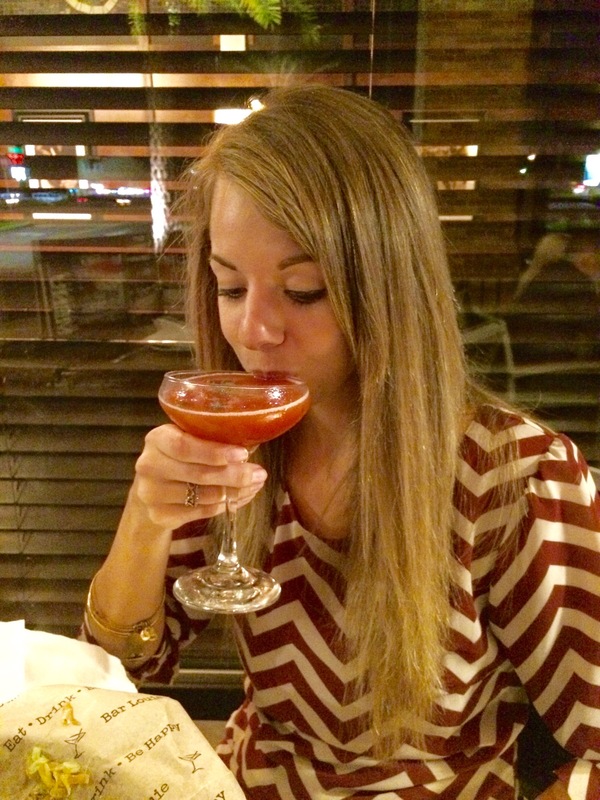 Not only was this an amazing dinner but the drinks complemented the meal so well. I will be going back, multiple times, and trying out as much as I can. Bar Louie really ups the ante on creATEive drinks, so I highly recommend venturing from the regular ol’ screw driver and trying their crafted goodies. You can add me to the list of people who will tell you their drinks and food is the “best you’ll ever have”. « Cinco de Drinko with Tacos & Tequila.